Younger folk here at Calgary Outlink have asked me what the environment was like for queers in Calgary when I was their age. [For the record I am 42.] I often reply that there was an element of danger being out, going to clubs, and in associating in general. I remember nervously looking over my shoulder around the Beltline, and knew of people who had been bashed. However, combing through the archives at the University of Calgary this morning, I found this poster in a 1992 file from the Gay and Lesbian Academics Students and Staff Society (GLASS) that gave me a jolt. A U of C undergraduate student at the time, I have a distant memory of this event. 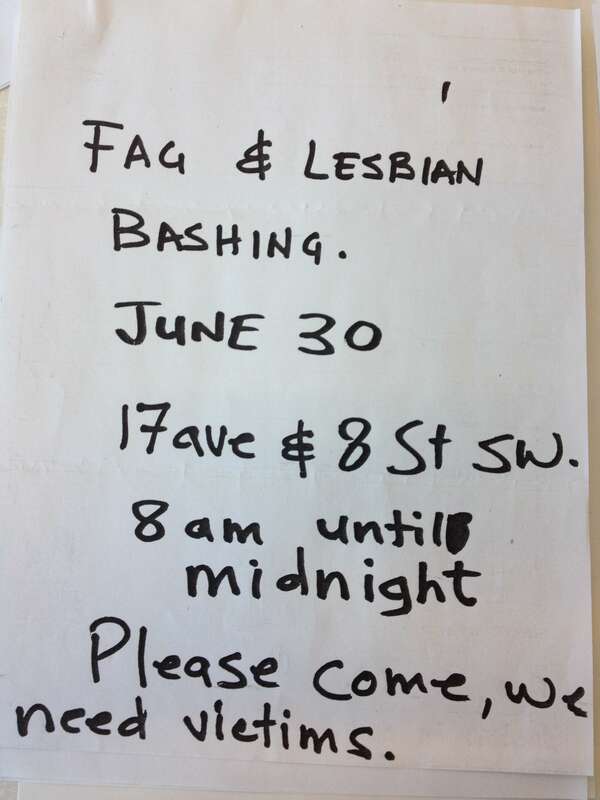 On June 17, 1992 this exact poster was found tacked to the door of GLASS – the invitation to a gay bashing to be held at the same location at an upcoming rally for gay and lesbian rights. In a press release the next day, Greg Lane, Co-chair for GLASS wrote, “Lesbians, gays and bisexuals live in a continual climate of potential violence. I am deeply concerned about these tools of oppression.” He noted that it was not the first time that GLASS had been targeted on campus. In a move of solidarity, student politicians from the Students’ Unions of U of C, SAIT and Mount Royal College, all swiftly and publicly condemned the action of the unknown poster author, who to my knowledge was never caught, despite police involvement. 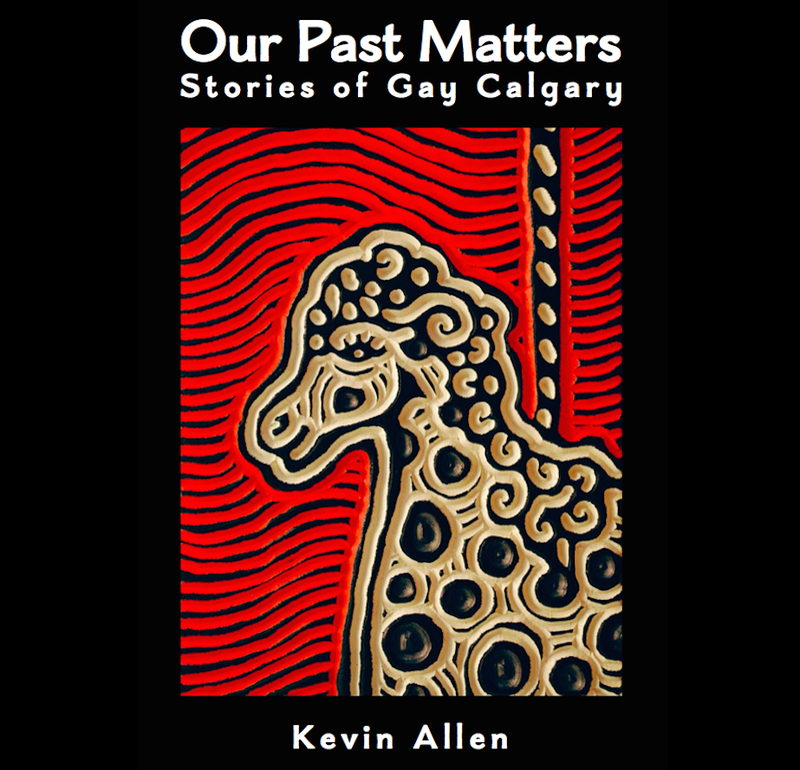 This entry was posted in Gay history and tagged Calgary, gay, Gay history, human-rights, queer, University of Calgary. Bookmark the permalink. Not sure “like” is an appropriate response. But thanks for doing this research. Maybe what we need is a “food for thought” button, or maybe an “OMG” button. I believe that there continue to be individuals in our society who are gay haters. We believe that this should not be but ignorance continues to be live and well.